Headlining the Red Wings’ prospect roster this year are their last three first round draft picks, Anthony Mantha, Dylan Larkin, and Evgeny Svechnikov, who could conceivably form a fearsome top line for the prospect team and eventually the Red Wings themselves. It is entirely possible that Grand Rapids Griffins’ and prospect team coach Todd Nelson pencil these three in as the top line in Traverse City. Their combination of size and speed plus their overall playmaking and goal scoring abilities could potentially do a lot of damage if they are able to develop chemistry on the ice. This past season, Red Wings’ prospects, Tyler Bertuzzi, Joe Hicketts, and Axel Holmstrom exhibited fantastic player development in their respective leagues. Bertuzzi and Holmstrom starred in their playoff seasons for Grand Rapids and Skelleftea AIK of the Swedish Elite League, respectively. 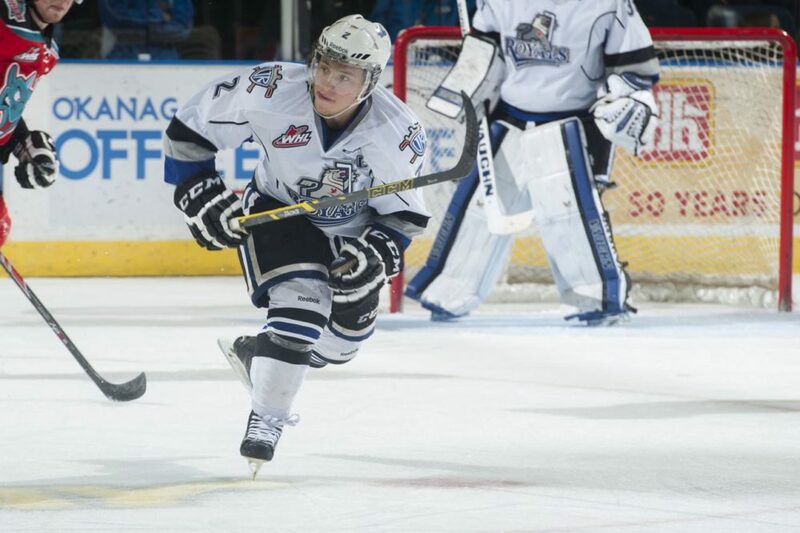 Hicketts continued his development in becoming a well-rounded defenseman after signing as an undrafted free agent and is expected to be in the running for the captaincy of Canada’s World Junior Tournament team this upcoming December. Red Wings brass and fans alike hope these three can continue to grow and start the 2015-16 on a high note with a strong performance at the NHL Prospects Tournament. After graduating from the OHL, Jake Paterson is expected to start the season in Toledo with the ECHL’s Walleye, where he can learn the ropes of minor league hockey with adequate playing time. Before that begins, he is expected to start for the Red Wings’ prospect team. Having only advanced beyond the first round of the OHL playoffs once, Paterson needs big game experience in order to develop as a goaltender. What better way to do so than in the championship game for the Wuest Cup? 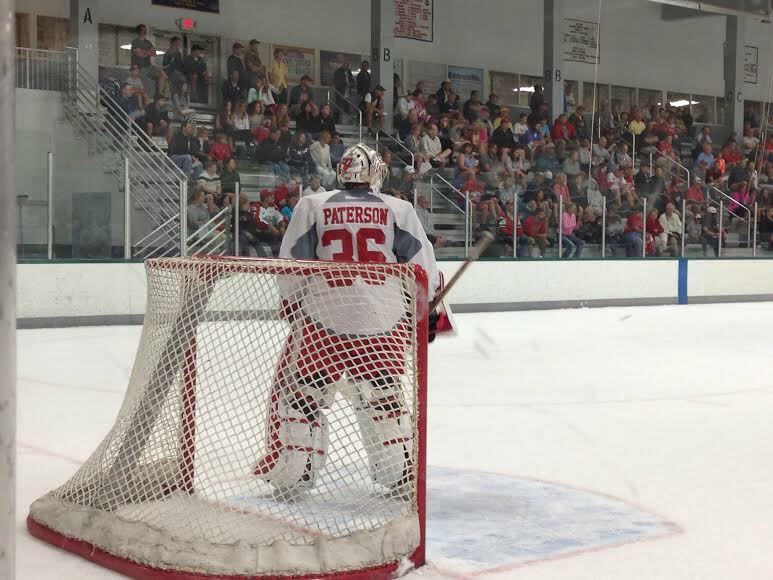 Beyond Paterson, the Red Wings goaltending prospects include Chase Perry and Joren Van Pottelberghe—neither of which are participating in the tournament. Though Petr Mrazek has the potential to start in Detroit for the next ten years, teams can never have too much goaltending depth. Connor Ingram of the Kamloops Blazers and Matt Mancina of the Peterborough Petes could make an impression in limited minutes after receiving non-roster invites from the Red Wings. That’s how the aforementioned, diminutive defenseman Hicketts earned a contract with the Wings. Speaking of making an impression, who will be the wild cards to unexpectedly step up and surpass Detroit’s expectations? Dominic Turgeon could arrive at the tournament ready to validate the Red Wings’ choice to make him a third round pick in 2014. Adam Marsh could prove to be a seventh round steal from this summer’s draft. My prediction? 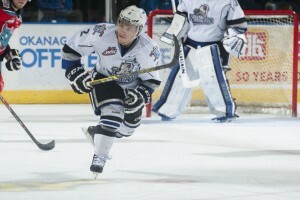 Jerome Verrier will impress Red Wings’ management, earn a minor league contract for the upcoming season, and end the year in Grand Rapid’s lineup. The Red Wings are currently blessed with tremendous depth, but it’s never too early to start developing the next generation of players who will don the red and white. When this tournament kicks off on September 11th, Mantha, Larkin, Svechnikov, Hicketts, and others will begin their campaign for a spot on Red Wings with the 2015-16 hockey season officially starting. Why not start on a high note with a Wuest Cup?